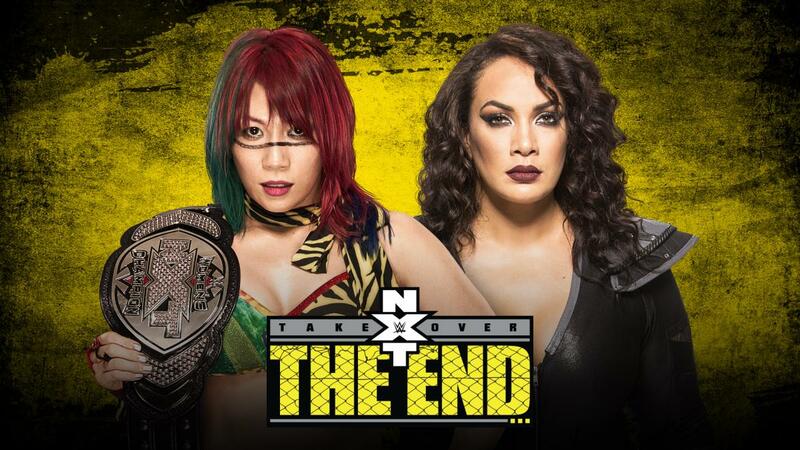 NXT Takeover: The End has had a large amount of people worried that this Network show would be the last we see of NXT. First off, why on earth would WWE cancel something that makes them as much money as NXT does and secondly, it's not. 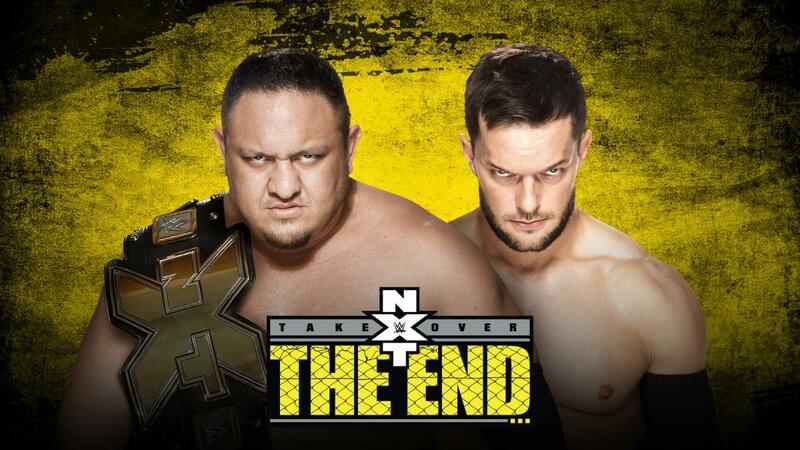 It's more than likely that "The End" is simply signifiying the end of Finn Balor and Samoa Joe's long run feud. 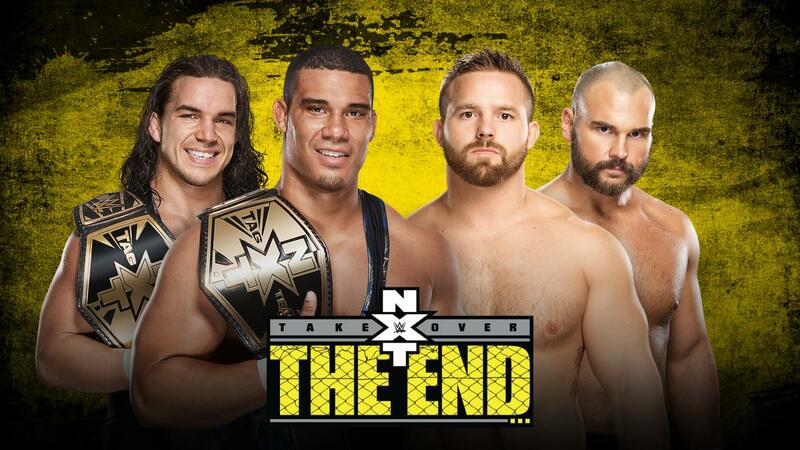 It could also mean the end of pre-taped NXT's. There are many things you could speculate that it means but don't worry, NXT isn't going anywhere. So what is on the card for tonight's NXT special? If you didn't know this match was happening that's understandable. This match was made very quietly without a lot of fuss. Despite this however, this could be a match that is much better than people think it will be. 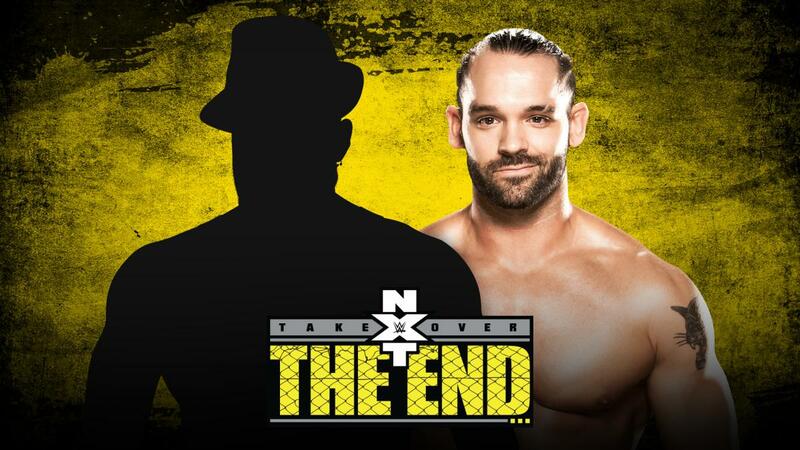 Tye Dillinger is a favourite with the NXT universe. He's a strong in ring worker and a very entertaining gimmick with many people (including myself) feeling that he has done enough to earn a shot at the NXT title. Andrade Almas is new to the majority of NXT fans but I'd advise you go and watch some of his previous work. The wrestler formerly known as "La Sombra" is an extremely entertaining wrestler to watch in the ring. He has worked with the likes of New Japan Pro Wrestling before and even beat one Shinsuke Nakamura for the IWGP Intercontinental Championship. American Alpha are one of the most entertaining things not just in NXT but also in WWE right now. They are an example of how somebody can become popular simply by being really good at wrestling. That's why people love them. Every time they step in the ring they will give absolutely everything. The Revival have also surprised a lot of people. Originally thought to be transitional champions until Enzo and Cass won the belts, they have proved to be an excellent old fashioned heel tag team. The only problem they have is that they haven't been given much time on the microphone to develop themselves as characters and while they are good in the ring, they aren't American Alpha. As a result they've struggled to maintain credibility since losing at NXTTakeover: Dallas. I stated earlier in this article that Nakamura has set the world on fire and It's been amazing. Nakamura debuted in Dallas vs. Sami Zayn and put on what will most likely end up being WWE's match of the year for 2016. Ever since then he has been the most popular thing in NXT. I don't think I've ever seen someone win over a crowd as quickly and to the extent that Nakamura has. Despite only being in 2-3 minute squash matches he has still been incredibly entertaining. Even the fact that he barely speaks English hasn't hampered his ability to cut a promo simply because of his natural charisma and likability. 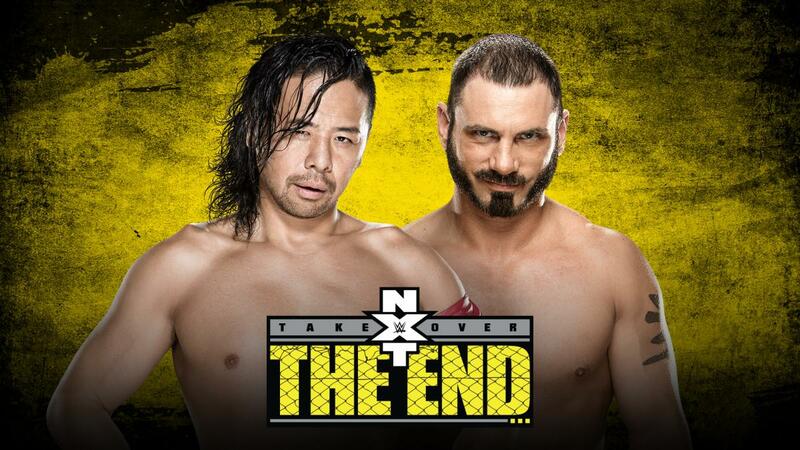 You'd be forgiven if you forgot Austin Aries debuted the same night as Nakamura. I wasn't familiar with Aries before NXT but looking at his work in TNA I can see why WWE signed him. The problem is right now he's been completely overshadowed by Nakamura. Hopefully at Takeover we see something to develop this. For the first time in about a year, Bayley is not competing on a Takeover event. It's an interesting decision but a good one to develop the story. Asuka has been on a complete wrecking spree since she joined NXT last year and is rightfully the top woman in NXT right now. Nia Jax has also been positioned as a monster right now. Personally I think a triple threat here would've been the better decision but I'm more that satisfied that this will be an excellent match. And so It's finally here. The final match between The Demon and The Samoan Submission Machine. NXT deserve a lot of credit for making this rivalry as compelling as they have over the past six months. There were periods where people started to turn off but making this the first ever NXT Steel Cage match was a great move. Finn Balor deserves a lot of credit for the work he's done but the standout in this feud is how good Samoa Joe has been as a heel. Even since turning heel on Balor, Joe has been an absolute wrecking machine. He is exactly how a dominant heel champion should be booked. He completely annihilates opponents but there are visible chinks in his armor for his opponents to exploit and yes, we're talking about you Roman Reigns. So who will win? This is the same sort of boat as American Alpha vs. The Revival. Samoa Joe surely has to come out as the winner during this one. He only won the title a month ago and taking the belt off him would make little sense. The Cage match is interesting because it helps maintain the strength of the Demon. Balor is undefeated while wearing The Demon paint and having Joe win via escaping the cage allows Finn to maintain that aura of invincibility surrounding his character. Whatever happens, this match will be awesome. 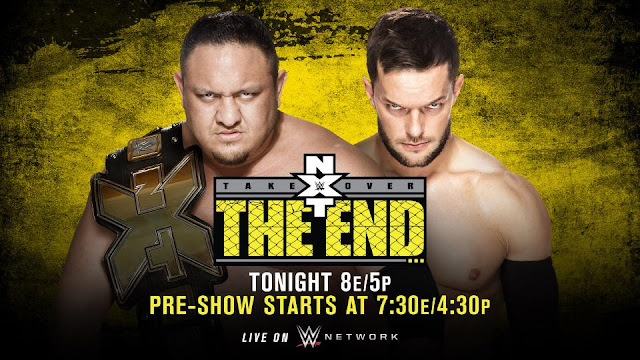 Balor and Joe are sure to go all out and we could likely see a spot from the top of the cage, Either way, NXTTakeover: The End is yet another awesome NXT event that people will be fully into. 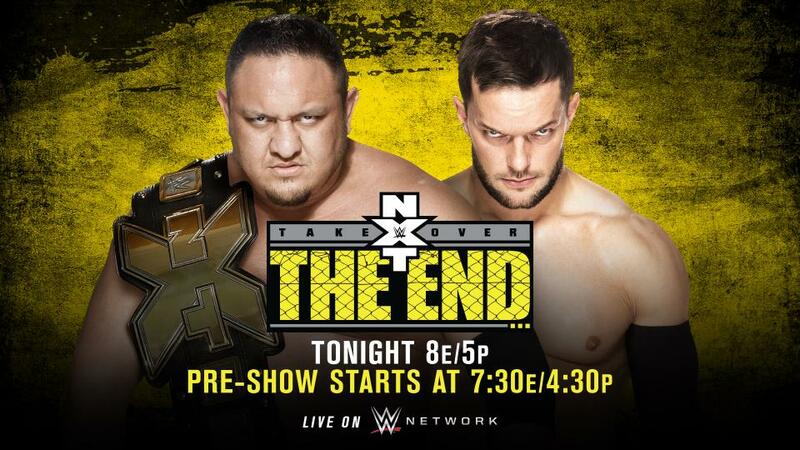 Preview and Predictions for NXT TakeOver: The End from Winter Park, FL, USA featuring Samoa Joe vs. Finn Balor.